UoW forging the Engineers of tomorrow!! 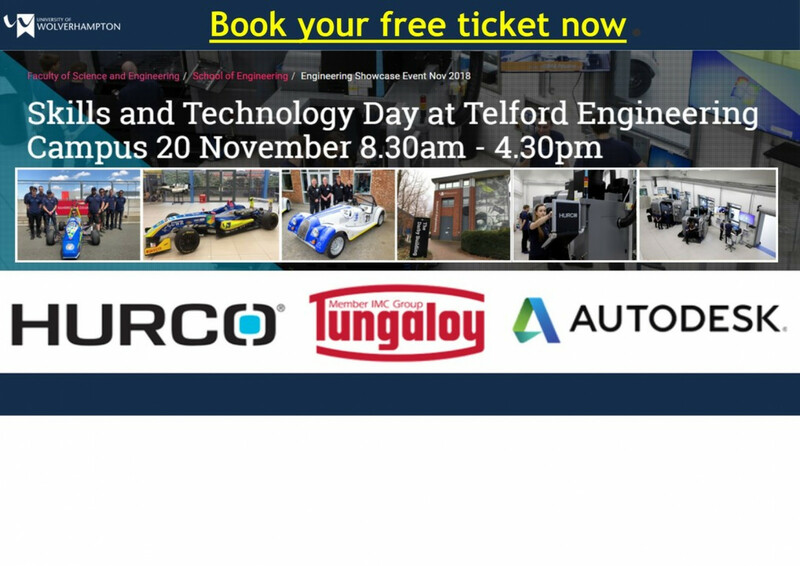 Join Tungaloy at the the University of Wolverhampton's Skills and Technology Day at Telford Engineering Campus 20th November 8.30am - 4.30pm. Throughout the day LIVE machining demonstrations will be in action using a selection of Tungaloy tooling, on both Hurco machines VMX42HSRTi & VM10i, all programmed with AutoDesk's PowerMill . Tungaloy products include DoFeed, DoTwistBall (New HJ High Feed breaker),TungRec, TungMeister, plus many more.